NuTonomy&apos;s driverless car took a spin around Drydock Avenue in the Seaport. Self-driving cars are about to become more visible in Boston. 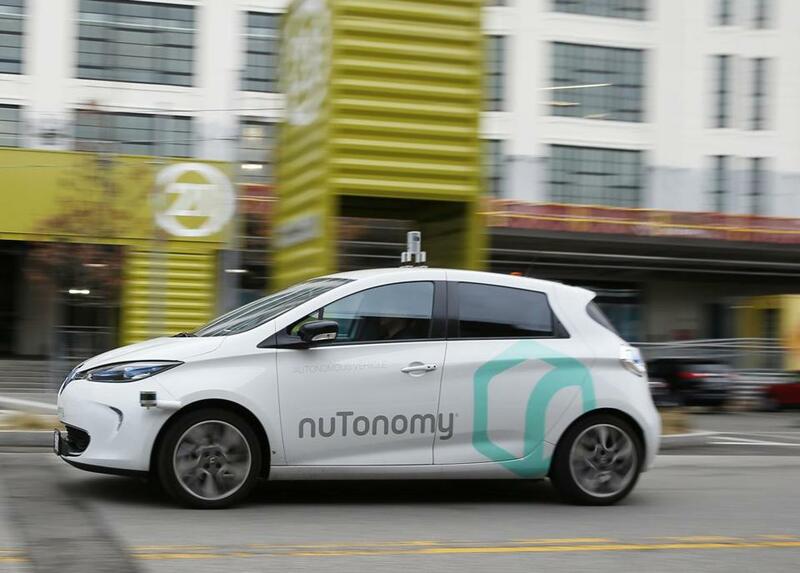 After nearly four months of testing in a small segment of the Seaport District, Boston-based autonomous car company nuTonomy Inc. has received city approval to expand the test area across the Seaport and Fort Point neighborhoods. NuTonomy has already completed about 230 miles of test-driving without any crashes or incidents, but that’s in the relatively quiet Raymond L. Flynn Marine Park. The full neighborhood will present nuTonomy’s cars with far more complex roadways. The Seaport includes traffic lights, complex intersections, roads with multiple traffic lanes, bridges, and a rotary — features the marine industrial park lacks. 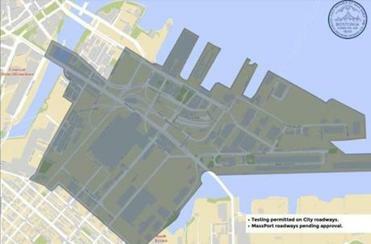 The larger testing area also means far more Bostonians will see the vehicles, since most of the Seaport is more densely populated than the park, and the neighborhood is infamous for its traffic congestion issues. “Even though the sheer miles of roadway [are] not massive, the increase in complexity is enormous,” said Matt Wansley, nuTonomy’s general counsel. In a perfect world, cars and trucks would never turn left. So imagine teaching a machine to turn left — in Boston’s infamous traffic, no less? Wansley said the company hopes to be on the new test roads quickly, though he noted the weather may be a factor. For now, nuTonomy can test on these roads only during daylight hours and in fair-weather conditions. NuTonomy must complete 200 miles of testing on the Seaport roads during the day and in fair weather before it can test at night and in precipitation. NuTonomy only has permission to operate on city-owned roads, not those owned by the Massachusetts Port Authority. Wansley said the company is in talks with Massport about using its roads and is “optimistic” about reaching an agreement. The company uses two test cars in Boston, Renault Zoe vehicles that have been outfitted for autonomous driving. It plans to add a third car soon, though only one is on the road at a time, Wansley said. The cars always have at least two people inside, including somebody in the driver’s seat to take control if needed. “I’m pleased nuTonomy has safely tested over 230 miles, and look forward to the next stage of this innovative partnership,” Boston’s transportation commissioner, Gina Fiandaca, said in a statement. Ahead of the approval, nuTonomy built detailed maps of the full Seaport so its software would be ready to begin guiding the cars, Wansley said. The green light for nuTonomy’s next stage of testing came the same week that Waymo, the Google sister company developing self-driving cars, began accepting applications from the public to take rides in self-driving minivans in Phoenix. The ride-hailing giant Uber has been testing self-driving cars with passengers in Pittsburgh and Arizona. NuTonomy is not currently offering passenger service in Boston. But it has vehicles on public roads in Singapore, where it offers rides to the public in a partnership with Grab, a Southeast Asia ride-hailing company.